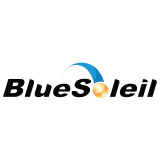 BlueSoleil software will be upgraded via updater with internet; please pay attention to the following information before installing BlueSoleil software with updater. 1. 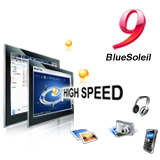 BlueSoleil updater is green single-file version which only offers related installation support on series of BlueSoleil software upgrades and also it is security, green, and non-toxic, no residue junk files. Please use easily. 2. Please uninstall BlueSoleil software via formal channels, such as from control panel->programs->uninstall programs->uninstall. If you delete BlueSoleil software manually or uninstall it by other third-party software which maybe can cause residual and result in the local version cannot be identified by update and cannot start the updater. 1. 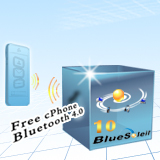 Question: there is no response after double click the BlueSoleil updater? 2) If it is still no response after doing 1) operation, please put services.msc in “Run”from “start”and check the BlueSoleilCS exists or not? If exists, please disable the service. 3) Please find outBSSmartUpdaterTrace.log from the folder C:\Windows\Temp, and then contact our technical support. Answer: the reason of the problem cannot be determined, please submit the email address in the pop-up dialog, and the updater will submit the problem automatically, and also you can contact our technical support, please refer to the step 3. 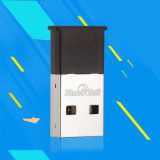 Answer: please make sure your network connection, the problem is related to the network conditions, we suggest you close the downloading software such as P2p then try again.